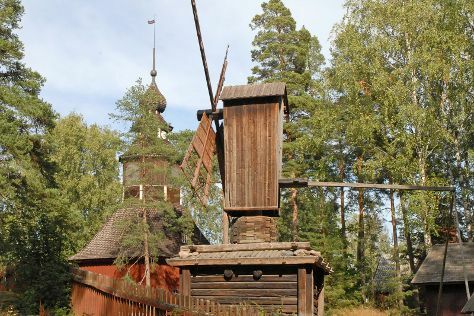 Your cultural itinerary includes sights like Seurasaari Island and Open-Air Museum and Vantaa Art Museum. Visiting Teijo national park and Niivermaki Nature Conservation Area will get you outdoors. You'll find plenty of places to visit near Helsinki: Arboretum Mustila (in Elimaki), Hanko (Bellevue Beach & Tulliniemi Nature Path) and Nuuksio National Park (in Espoo). Pack the 14th (Fri) with family-friendly diversions at Linnanmaki Amusement Park. Spend the 15th (Sat) exploring nature at Ekenas Archipelago National Park. There's still lots to do: explore the striking landscape at Hiidenvuori, admire the masterpieces at Kansallisgalleria, test your team's savvy at popular escape rooms, and identify plant and animal life at Riverside Park. To see where to stay, reviews, ratings, and more tourist information, use the Helsinki tour itinerary planner . If you are flying in from Germany, the closest major airport is Helsinki Vantaa Airport. Expect a daytime high around 21°C in June, and nighttime lows around 11°C. Finish up your sightseeing early on the 21st (Fri) so you can travel back home.